Senior 6th man Sam Holstein provided a spark off the bench for the Jeeps with 9 points and 7 rebounds (6 offensive). Senior forward Shiloah Blevins had 16 points and 7 rebounds in the Jeeps home loss to Fairland Tuesday night. In the early stages of a season, especially at the high school level, it is fair to notice some inconsistences from a game to game basis. 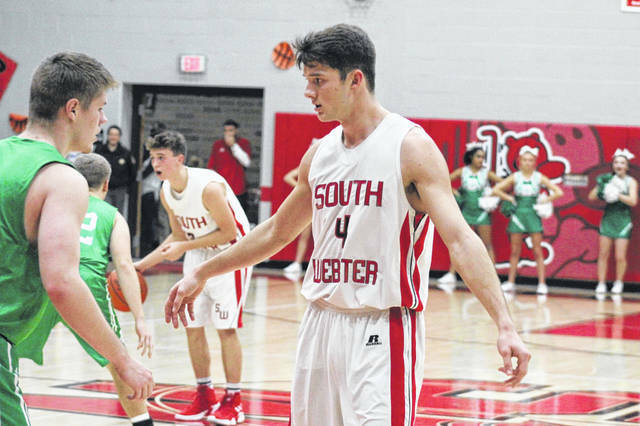 Coming off two days rest from their game against Glenwood on Saturday night in which they won 63-61, the South Webster Jeeps struggled to score and on the defensive end in what led to their loss to the OVC’s Fairland Dragons on Tuesday night, 51-38 in their second game of the season. Although they won their game on Saturday, Jeeps head coach Brenton Cole stated following that game that his team’s defense needed to drastically improve if they wanted to continue to get better over the course of the season. Those same defensive lapses proved fatal on Tuesday night. Shiloah Blevins, one of the competitors for the district player of the year in the early goings, had a solid game overall in his team’s defeat with 16 points and 7 rebounds, but was not enough to give South Webster the edge over Fairland. The sophomore that gave South Webster a lot production in their home opener over the Tigers was Tanner Voiers. Against the Dragons, Voiers was out for a majority of the first half due to foul trouble and seemingly never found his footing once the second half began. A bright spot off of the bench for the Jeeps was senior guard Sam Holstein who played his sixth man role incredibly well by scoring 9 points and grabbing 7 rebounds, 6 of which were on the offensive end. For the game, South Webster shot 15/41 from the field, 4/19 from behind the arc, and 4/4 from the foul line. The Jeeps also had a 6 assists and 9 turnovers in their Tuesday night home game. The good news is that this game will be a stepping stone for the Jeeps, Cole hopes. But he knows that with his team’s first SOC II game coming up on Friday in a road trip to Waverly, they definitely have some things to work on prior to that game. 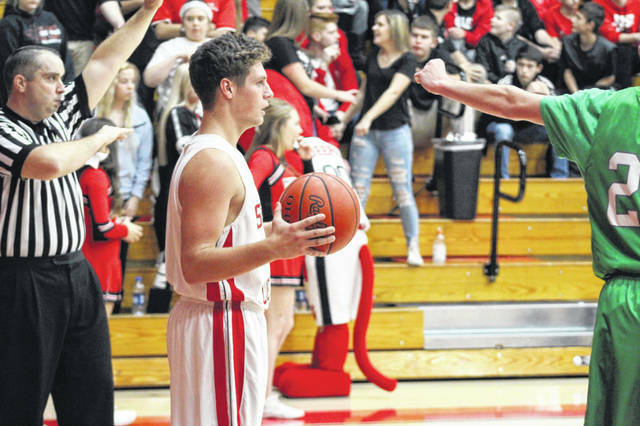 https://www.portsmouth-dailytimes.com/wp-content/uploads/sites/28/2018/12/web1_IMG_4225-1.jpgSenior 6th man Sam Holstein provided a spark off the bench for the Jeeps with 9 points and 7 rebounds (6 offensive). https://www.portsmouth-dailytimes.com/wp-content/uploads/sites/28/2018/12/web1_IMG_4214-1.jpgSenior forward Shiloah Blevins had 16 points and 7 rebounds in the Jeeps home loss to Fairland Tuesday night.